4D was finalist for the 2018 SDG Action Awards. Our project OurLife21 was selected among 700 submitted projects. On the 21 March we were 38 players in the Awards ceremony to present our project and have the opportunity to connect through our achievements and to hear from others. The final process was full of experience sharing and of emotions. OurLife21 aims at allowing individuals to develop a positive perspective within the SDGs framework. The 2015 roadmaps provide access to massive data. OurLife21 aggregates them and provides projections at people’s level according to location, income, lifestyle modes, and their capacity to change. The SDGs provide a vision for sustainable future by covering issues as diverse as urban planning, inequalities, agriculture, transports, which are all important aspects of sustainable development and sustainable lifestyles, which is key to increase well-being. People are in search of an inspirational vision. On the afternoon of 21 March we presented the impacts of SDGs implementations in the life of Katya, in 2020, 2026, 2030… Katya is one of our families’ stories. Even if we did not receive the award, we appreciate the inspiration, connections, and the warm support of our Make Sustainable Europe for All colleagues. I feel inspired by engaging people in a bigger “we” than themselves, and by new strategy which are people-focused, one that will inspire with stories of change, strengthen existing alternatives, and support and strengthen people’s change. 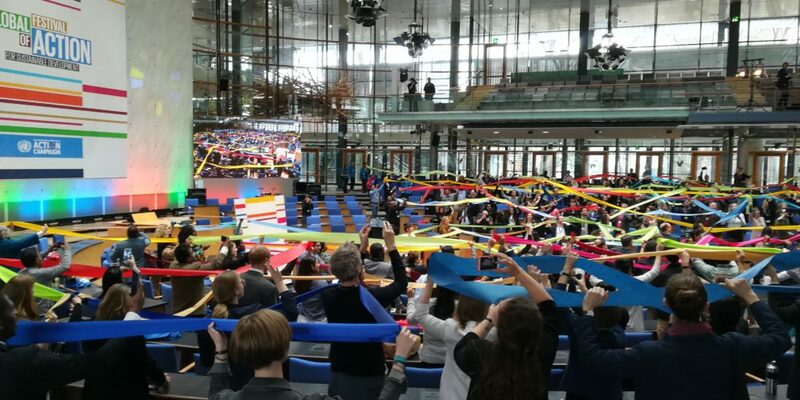 During the 3 days of the festival, a lot of innovative approaches for citizen engagement were featured, Such as storytelling, digital tools, contests to stimulate behaviour changes. Nonetheless, I wonder if the proposed solutions are at the level of the ambitions of the Agenda 2030. 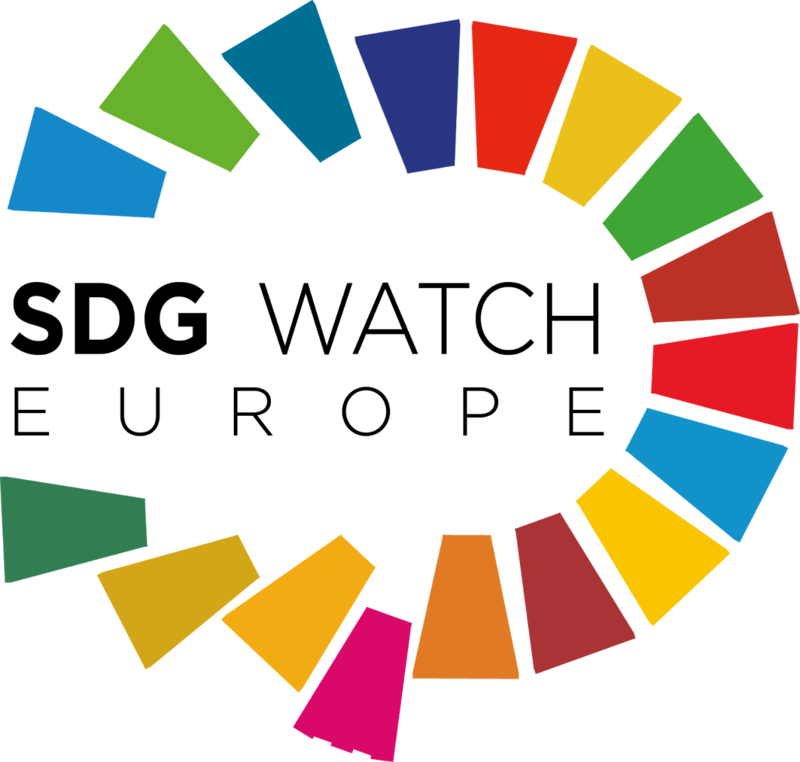 With the SDG’s, people in all countries share the same global goals, but starting points are different and the trajectories, efforts, change have not the same extent. The changes we need will happen at different interconnected levels: political, economic and social organizations (policy) and cultural (societal values and common narratives). This why addressing lifestyles instead of behaviour is more accurate. The further we go to implementing the Agenda 2030, the more accurate the lifestyles approach will be. This Festival was also the opportunity to mobilize our close network. 3645 people voted for OurLife21 within 1 week. This is promising for future actions of engagement. Association 4D was created after the Rio Conference in 1992 to build some expertise on sustainable development. They develop their activities at local, national and international level sharing with their network a vision of preserving the planet resources while reducing inequalities thanks to democratic practices.